Let's Go South Lake Union! South Lake Union is a fast-growing neighborhood with something for everyone. Thousands of people call it home. Thousands more work, shop and play here. Let’s Go SLU highlights all the ways you can get to and through the neighborhood using transit, walking, biking, and new mobility options. Employers and property managers will also find valuable tools and best practices to help their employees and residents connect to efficient and cost-effective transportation choices. Let’s Go South Lake Union is a collaboration between Commute Seattle, Seattle Department of Transportation and South Lake Union Chamber of Commerce. South Lake Union has the transportation options to take you where you want to go. Are you a business or property manager in the neighborhood? We’re here to help you find commute solutions. 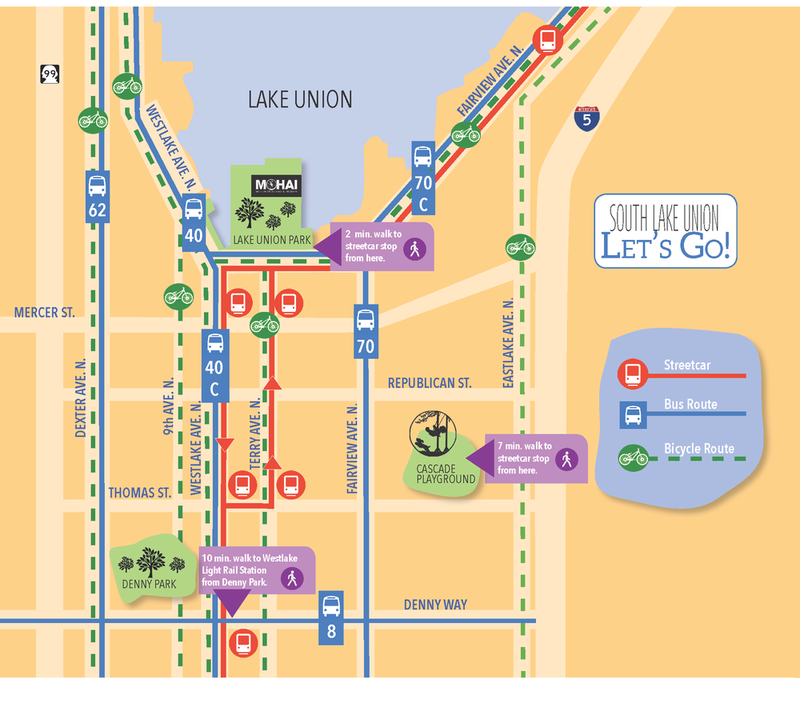 It’s easy to get around South Lake Union by foot, streetcar, bus or bike. 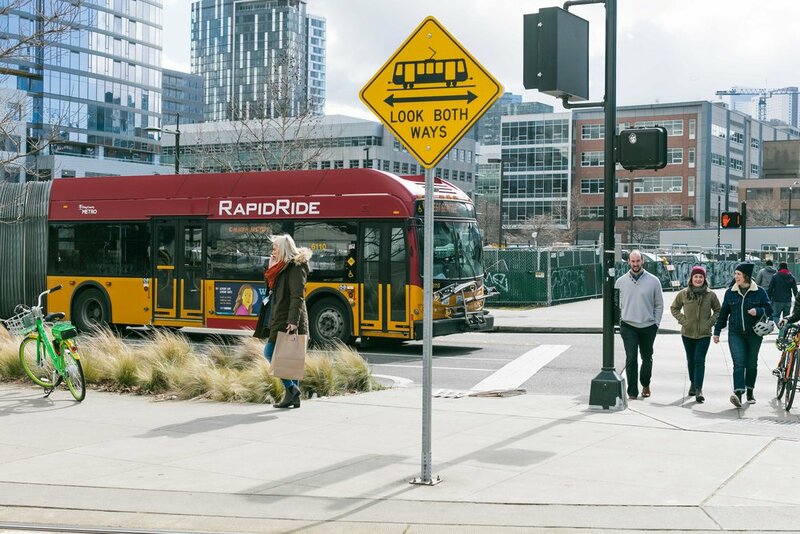 Do you have questions about getting around Seattle’s South Lake Union Neighborhood? Contact us today for more information. Let’s Go South Lake Union is a collaborative project between Commute Seattle, Seattle Department of Transportation and South Lake Union Chamber of Commerce.